Anil Potti, the oncologist who has been forced to retract four papers because of results that could not be reproduced, and resigned last fall from Duke, has a new job. He’s joined the Coastal Cancer Center, an oncology practice with four offices in South Carolina and one in North Carolina. It’s not surprising that Potti’s Coastal Center bio leaves out any mention of his troubled research and the fact that he faked a Rhodes scholarship on a grant application. Investigations into what happened at Duke are ongoing.Potti has been trying to whitewash his past, hiring an online reputation management service, as the Duke Chronicle reported in April, to improve his Web search results. The Coastal Cancer Center conducts clinical trials, according to its site. It’s unclear whether Potti will be participating in any of those trials, nor whether his patients know anything about his history. We’ll be trying to contact his new colleagues to learn more. *Updated at 11:45 p.m. Eastern, 6/16/11. Thanks to Zachary Tracer for the correction. Just for clarification, Nature did not “rip off” the story; they mention that the Duke Chronicle had reported on the online reputation management strategy. We linked to the Chronicle story in our post. This information only reinforces my view that oncologists make too much money, a side effect of the fact that specialists in general are overpaid. I’m not talking about the surgeons who work 14 hours a day and have no family life. I’m talking about the nine to five, Monday to Friday worlds of dermatology, oncology, neurology, cardiology, etc. Obviously I have an axe to grind because I was a general practicioner, but if those specialists were genuinely worthy of respect I wouldn’t begrudge them their high salaries. On the other hand, since when is it just that an oncologist should pull down a million dollars a year? Especially when their clinical results are so dismal? Oncology basically consists of giving poisons to people who are already dying, and getting away with assisted suicide by the desperate and gullible. Very few oncology treatments can be objectively shown to have any benefit in terms of lengthened survival, nor in quality of life. I’ll never forget the cases in which I witnessed an oncologist deliberately lie to a patient and his family about his chances and the efficacy of the treatments he reccommended and administered. And here’s a case in which an oncologist lied about getting a Rhodes scholarship on his resume. He should be drummed out of the profession, not allowed to escape to another lucrative position in an underserved area. Dr. Seitz, I don’t know where you practiced medicine but I’m very sorry that you had such experiences. In my area (which includes Duke), oncologists bust their butts for surprisingly low salaries when compared with other sub-specialities (Disclosure: my spouse is a former Duke medical oncologist so I’m very well aware of what (little) family life she had when still practicing; I’ve also held an adjunct appointment there in general internal medicine since 2002). I can assure you that Potti wasn’t even close to making the million dollars you cite above in your straw-man argument. Typical salaries at his level in academic medicine are $150-225K – the reader can decide if this is fair compensation for the years of training, skills, and emotional resilience it takes to be an oncologist. As far as your complaints about oncology treatments having little benefit, I fear that you may not have been keeping up with the literature. We have never been at a time in history with more cancer survivors living a better quality of life. However, we are far, far, far away from being where we’d all like oncology to be. Indeed, cancer is a series of diseases that are extremely hard to treat and we are doing our best to find better and more effective treatments that also improve quality of life. But remember, we have yet to cure cardiovascular disease or diabetes either. In no way do I condone the actions of Dr. Potti. He is an outlier and – from what I understand of the case – is deserving of the disdain of his colleagues. However, most oncologists I know – and, yes, oncologist colleagues still at Duke – are among the most compassionate and skilled clinicians I have ever encountered. Should you ever find yourself in need of cancer care, I’d certainly consider Duke. I’m sorry if I left the impression that I think all oncologists are money grubbers. I was referring to private oncologists. I haven’t had any experience with academicians. In my experience, private oncologists make a lot of money and do very little for their patients. In addition, while there are success stories in oncology recently, the majority of treatments still have unacceptable side effects for minimal gain in time on the planet. I think you are somewhat over-optimistic, and while I appreciate that this viewpoint is necessary for oncologic practice (who would want to consult a pessimistic oncologist?) a realistic look at treatments (which the literature will show, in a few revealing editorials that have shown up recently) shows that some things are better and many are not. Cancer being the disease(s) that it is(are), death is right around the corner for most patients no matter what you do. As Fact Checker discusses at length, the more interesting issue is how Potti was able to get a Medical License in South Carolina. My guess is that he agreed to resign from Duke in return for an agreement that there would be an effort to dissociate his alleged research misconduct from his service as a clinical oncologist for the specific purpose of not impeding his ability to retain his NC medical license or obtain a license in another state. Of course, the real problem is his clinical research which was based on discredited publications, clearly had the potential to cause harm (and likely caused actual harm). I don’t know if there is a presumption of innocence when it comes to medical licensure but I can’t imagine that this won’t become an issue later when the various investigations are complete. In the meantime, he can stock up on fireworks at South of the Border as he commutes between Chapel Hill and Myrtle Beach! It was reported on http://twitter.com/#!/anil_potti earlier. That is where I first saw it, and it was on the hospitals website. Again, I’m sorry I offended academic oncologists. However. Just for my own (and everyone’s) edification, I looked up cancer survival statistics by year and found NCI’s tables at surveillance.cancer.gov showing survival by year of diagnosis. It is encouraging; for all sites of invasive cancer: 1 year survival if dx’d in 1975 was 69.9% and if dx’d in 2007 was 81.5%, an improvement of 11.6%. Five year survival was 49.1% and 66.7% (from 2003), an increase of 17.6%. Allowing for earlier diagnosis, which would artificially improve these statistics, this is impressive. Of course, these are averages for all types, and some have done better than others. Melanoma has a 91.2% five year survival, but bile duct has 5.4% and pancreas has 5.5% survival (from 2001-2007.) These figures partly reflect the fact that pancreas and bile duct cancers are rarely diagnosed early, while melanoma is easy to spot (groan for pun.) Breast has an 89.1% overall survival, and breast in situ has a 100% five year survival, showing the importance of early diagnosis. Cervix, 1975-77: 69.1%, 2001-2007: 68.9%. Colon: 1975-77: 50%; 2001-07: 66%. Uterus NOS: 1975-77: 87%; 2001-07: 83.2%. Esophagus: 1075-77: 5.0%; 2001-07: 18.5%. Larynx: 1975-77: 66.3%; 2001-07: 62.7%. Non-Hodgkin’s lymphoma: 1975-77: 46.7%; 200-1-07: 69.5%. This reflects the development of treatments, particularly for lymphomas and leukemias, and the continued absence of effective treatments for other types. The site also gives statistics broken down by race and gender. These indicate that blacks and hispanics generally don’t survive as long, for reasons which I will leave to the reader to infer. No question that survival rates have improved in some types of cancer. Nonetheless, toxic treatments are still popular. The private oncologist has an interest in under-estimating the incidence of side effects and over-estimating the improvement in survival conferred by his treatments, because he needs to get the patient invested in continuing treatment in order to make money. In addition, he needs patients with private insurance, not Medicaid, in order to show a profit from his treatments; Medicaid patients will actually lose him money. Many private oncologists will not accept Medicaid, which forces such patients to seek out a university oncologist, usually further away and harder to see. The academic oncologist, however, can remain relatively objective about whether his treatments will help, because he’s on a salary and not on piece-work, so to speak. In reviewing my earlier post, I definitely exaggerated–oncologists don’t make million dollar nets, more like half a million at best. But 225 thousand is chicken feed to privateers, especially those who have side lines like dialysis centers. “Five year Survival by year of diagnosis:” This is meaningless and such a common misunderstanding of the data. Perhaps only the diagnostic tools have gotten better so that now we can diagnose the disease in earlier stages, resulting in higher Five Year Survival Rates without any changes treatment efficacy! Precisely. Five year survival rates do not mean that much when disease is diagnosed much earlier these days. My impression is that early diagnosis leads to better treatment because the patient is not so debilitated…. he/she has more time and life to decide what to do with it. Unfortunately, in many cases (leukemias and lymphomas excepted) there is no treatment better than placebo. I have seen many examples of this clinically; optimism is good for early diagnosed patients but it should lead to realism in terms of treatment options. How do you diagnose and treat a squamous Ca of unknown origin that pops up in a lymph node in the neck? Ask different oncologists and you will get different answers. Radiation? Drugs? Exterpative surgery? What works, if anything? Better, maybe, to spend your healthy time arranging your affairs so that you can die with dignity instead of in agonizing, untreated pain (due to a fear of “addiction”), covered with your own feces and vomitus, after an unsuccessful and toxic regime of chemotherapy and radiation. But you can’t deny the patient an honest effort, no matter how toxic it may be in the short run, if that’s what he/she wants. These are some pretty ignorant and offensive statements, Dr. Seitz. For a subspecialty that deals with many terminally ill patients, you paint us a bunch of money-grubbing wastrels. (I’m sure there are some bad apples in every profession…) A bunch of numbers from the NCI doesn’t do justice to the myriad advancements in oncology recently. Oral tyrosine kinase inhibitors in lung cancer and renal cell, monoclonal antibodies for colon, lung, and breast cancers, etc, etc. You may measure 2-3 months as an insignificant amount of time, but you should sit down with some cancer patients and their families, and see how valuable that time is. I deal with family practice residents in an academic setting and they are all too quick to try to send cancer patients to hospice. Maybe there is a general lack of education about oncology in family practice training? How would your local oncologists respond to your remarks? –If you want to discuss the problems with costs in oncology, start with Big Pharma. –There is a reason that subspecialists make more money. It’s the 4 extra years of training. If I invest that sort of time, I think it is fair and reasonable to expect more compensation. A million a year? I’m sure it happens, and that is excessive, but most of us don’t make that much. Try moving to Sweden and practicing socialized medicine sometime. PS I deliberately rejected family practice (arrogant) and internal medicine (cowardly) to pursue training in the real world all alone with the patients. I didn’t want to make a lot of money for nothing. Your insults have simply missed their mark, as you are insulting someone other than me, I.e. the person you mistakenly think me to be. As I understand the situation with anti-cancer drugs and treatment, what holds it back is the fact that there are some 10 directions or less that are followed by the researchers, while looking at the mass of researchers involved it should have been at least a thousand. The same is with other medicine. Too much time is given to a few directions that showed virtually no progress in the last 40 years. That’s ridiculous. Young researchers must be given this choice: Do you have your idea? If yes, go ahead. If not – leave. Having a PhD should mean – you are on your own, that is in the library, before you come up with something. If this type of culture existed, there would be a hope. The lack of intellect and originality is purely the result of the present system. @Pyshnov, you are right at least in one sense. Everyone is following the popular leads like sheep, partly because they are getting paid to do so. Companies are capitalized to develop specific drugs that are patented, whether they work or not. Doctors (specialists like oncologists) are getting paid to support these specific drugs, whether by speaking fees (they give talks to other doctors) or by performing studies that “confirm” the value of these specific drugs. Part of the problem is that doctors like Anil Potti who want to make money (rather than doing good for patients, or because of huge debts incurred during schooling) are going into specialties, where they work partly in a clinical setting and partly in a research setting. Large payments for minimal work are available for specialists who are willing to “front” research and provide their prestige as practitioners to the letterheads of venture companies. Some of the research that is done is of poor quality, partly because the doctors are not primarily researchers and are more motivated by the money they are paid to run the study than by the desire to discover the truth about their drugs. Medicine has always been an art rather than a science, and many if not most medical treatments (as well as many medical diagnostic methods) are poorly supported by scientific evidence. 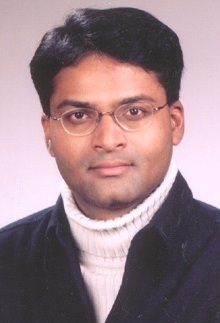 Specifically, Anil Potti is a willing victim of the oncologic research industry, which prizes practicing physicians who do “research.” Unfortunately, practicing physicians have usually not been trained in rigorous research methods and they have a perverse incentive to provide positive results to their financial supporters. He is only one of the few who has gotten caught trying to make himself look as prestigious as possible to the venture companies. The fake CV should bring him down forever. I know some German guys after such scandal were banned from doing the same research forever. Way off target there, Chief….I actually treat uninsured and homeless patients at a county hospital. Most of my patients get free drugs through the drug companies, and I spend much of my clinic time teaching fellows, residents, and medical students (from underserved populations) about cost effective oncology. I make substantially less money than my private practice colleagues. I’m glad you stoop to comparing oncologists and specialists to pro athletes. Very professional of you. Do you actually have any formal training, if you rejected the herd mentality of medicine and FP? Your understanding of cancer treatment and patient care seems quite limited, rhetoric notwithstanding. “Painfully well informed”? Really??? You think that going online and copying down some NCI numbers suddenly makes you the arbiter of all things oncologic? Keep writing…..it exposes your ignorance. This is the last straw. I never thought I would be flamed by an oncologist. I was commenting about Anil Potti, not YOU. You can’t tolerate something about my comments but you can’t muster logical arguments against my clinical observations of malfeasance, so you have to attack me personally. Comparing me to Upton Sinclair? (Is that good or bad?) Calling me ignorant on the basis of data pulled from NCI? (Is NCI wrong or uninformed?) Do you understand the meaning of the word “ignorant”? Belittling my perceived lack of training? Do I actually have any formal training? That’s not the point (I do, graduated with honors from the best university in the world, I would describe it, but you would belittle it. I describe myself as a “general practicioner” (retired) because I reject the mindset of both family practice and internal medicine.). Formal training in medicine is a particular process of indoctrination into the minutiae of a certain method of treatment, not a general process of enlightenment. Does it take formal training to be able to see someone suffer needlessly? It doesn’t take much formal training to recognize an oncologist turning his back on someone who refused to continue an obviously failed or overly toxic treatment. It doesn’t take much training to notice that someone who is dying is not being treated for his pain. Do I describe something real which you can’t face, e.g. your treatments have little or no scientific basis? I clearly pointed out that SOME cancer treatments are useful, while others that continue to be used are NOT. The NCI data was to show that there has been no progress in the treatment of many of the most common forms of cancer. I pointed out that it takes a lot of optimism to be an oncologist, but some oncologists are inappropriately optimistic when they should tell the truth to their patients. (Unfortunately, many nonspecialists are inappropriately pessimistic.) I believe that medical specialists are overpaid. You claim that your four years of extra (formal) training entitle you to extra salaries. What about the PhD in philology who makes less than the national average salary, despite an equal or greater length of “formal training” than yours? Is his work less meaningful than yours? No. His work is less valued by a skewed society, but it’s not less meaningful. Remember, “a cat can look at a king.” Do not respond any further. You are starting a flame war that you cannot win. Just for the record– Anil Potti is a lying SOB who shouldn’t be allowed to practice medicine. “Do not respond any further”….wow, you really do have quite the ego there, Dr.Oz-ymandias! That’s some funny stuff. I probably couldn’t win, since I have patients to see. And a life. Yes, you just got flamed by an oncologist…an oncologist who is sick of listening to your rhetoric. You’re just what cancer patients need— a retired blowhard with Internet access. A troll. “Does it take formal training to be able to see someone suffer needlessly?” No, but it does take formal training to learn the proper methods of treatment. It’s pretty clear that you don’t have much formal training in oncology, and don’t have much insight into the proper management of cancer patients. Thanks for providing some levity in clinic today….the other 7 oncologists, various staff members, and some of my patients enjoyed reading your enlightened comments. The general consensus: “stay retired”. And to the other readers of this site— I’m done yanking Seitz’s chain. Don’t want him to stroke out on us. It always pisses me off to hear these insulting “holier-than-thou” diatribes from some medical professional who obviously has no clue, and doesn’t understand the issues cancer patients face. Please support the American Cancer Society. This is the last response I will make as I see there are no credible counterarguments coming from you. The point I was trying to make, specifically about Anil Potti, was that he was caught doing something that most specialists do to line their pockets yet more fluffily, i.e. create bogus research for drug companies and others who pay only too well. This research is sometimes but not frequently useful to medical science. Unfortunately, it is extremely difficult to do medical research in the field of oncology because it is not logical for someone faced with a deadly disease to accept the possibility that he/she might be allocated to a control group rather than active treatment. It is hard to accept a “null’ hypothesis when your life is on the line and so many allegedly sincere experts have created a treatment that they are offering to you as a possibility for salvation. The FDA is somewhat wrong-headed in demanding placebo-controlled studies for approval of drugs to treat fatal conditions, for the above reason. I can’t do anything about that. The point I was making about pro football quarterbacks was, and I apologize for this, a slightly less rude way of saying that you are not too bright. It doesn’t take a high IQ to be a successful doctor; it is more useful to have the ability to memorize facts and the drive to stay up all night repeatedly. High IQ just makes you understand things better; it doesn’t give you success in most fields, nor does it help your income much. Again, unfortunately, many treatments in medicine, and especially in oncology, have little or no scientific basis for precisely the above reason: adequate research on treatments in fatal conditions is very difficult. That is really all I have to say, except that Marcel Proust is a yenta and quoting him just makes you another. Having known Anil Pottii his earlier years, I opine that he is a brilliant chap. Yet if what is alleged is true, he should be held responsible. Whatever medications that was offered was already in practice. So in one sense he did not practice quack medicine or give an unapproved treatment. For eg, in cardiology, we often have given FDA approved meds on the basis of a physiological explanation. With regard to speacialists, I dont begrudge anyone who makes money after working 12-14hrs. I certainly dont agree with IM/FP getting paid mere 130+ while Derm/ Radiation Onc getting paid 350K. What logic is this when they dont even take emergent calls. Somehting has really gone wrong with our system. As to allegation about chemo, I have collegues in Heme/Onc who agree that lot of the trials is trying to make a miniature difference, which can occur by chance. So why put the poison. We should have neutral bodies to perform trials and that is just plain wishful thinking. He shouldn’t be allowed to practice Medicine and he should be deported. I would like to know exactly where is he working rt. now…..